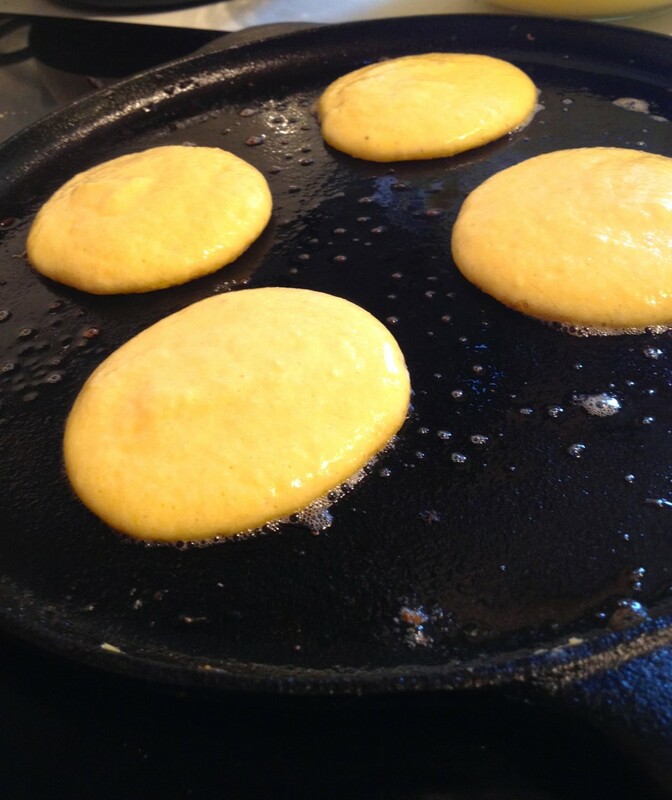 Looking for another recipe to try on pancake day? These are just super. Floatingly light (as my Mum so poetically put it) and damn tasty. 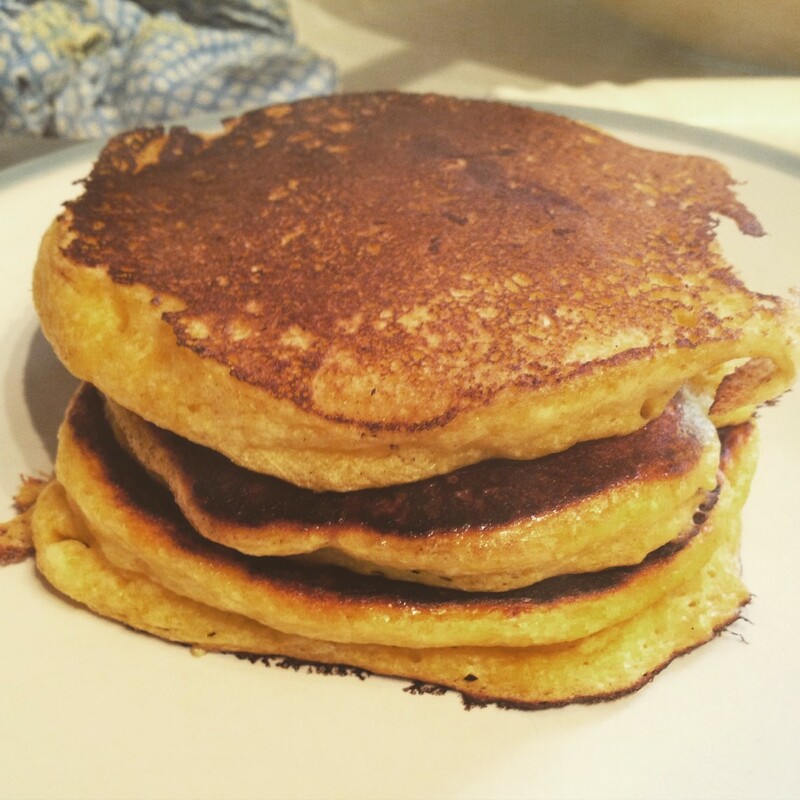 Full of all of the usual pancake things – flour, eggs and milk, in case anyone felt cheated by the gluten- and dairy-free buckwheat crepes. This recipe is from a cookbook that featured in my top 3 books of 2014, Top with Cinnamon, and is right up my street. Not in any way low fat but low sugar and full of protein and a thoroughly filling breakfast or brunch. Also the perfect base for any toppings or accompaniments. 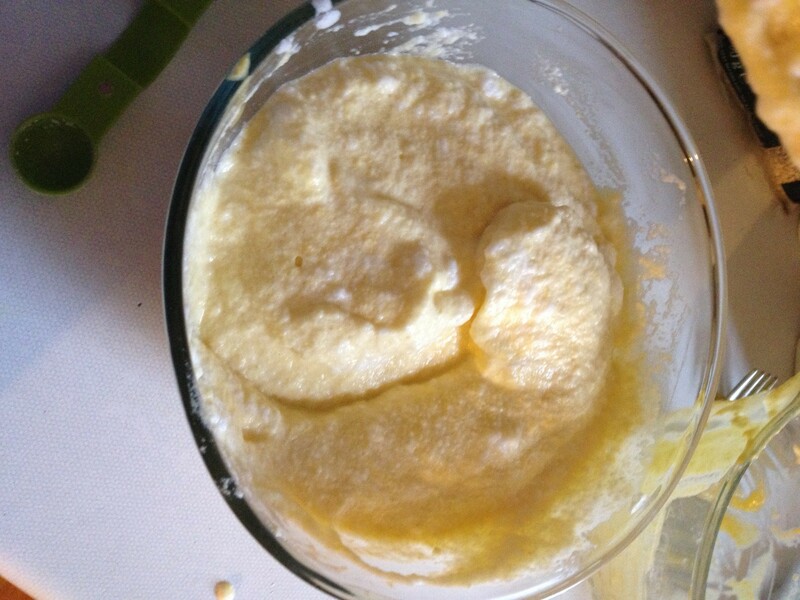 Mix the egg yolks, milk, flour, baking powder and salt in a jug. 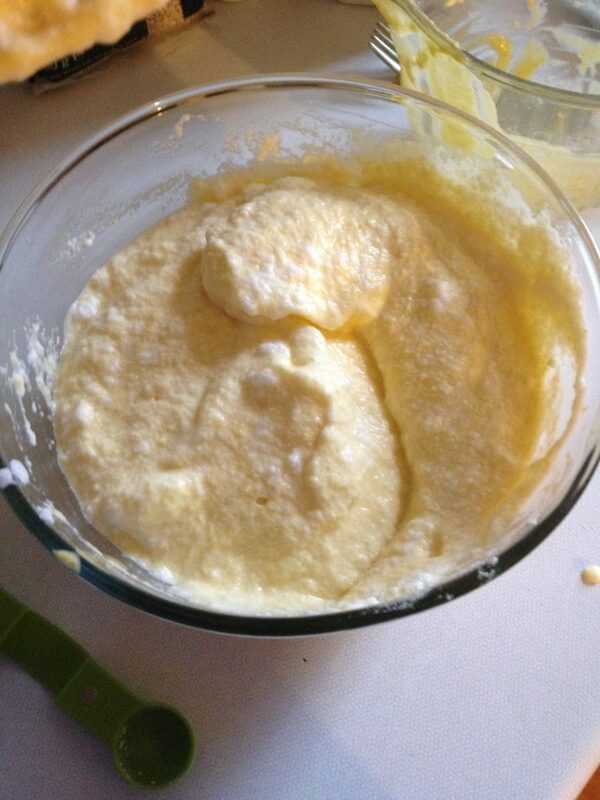 Add the ricotta and stir together gently. 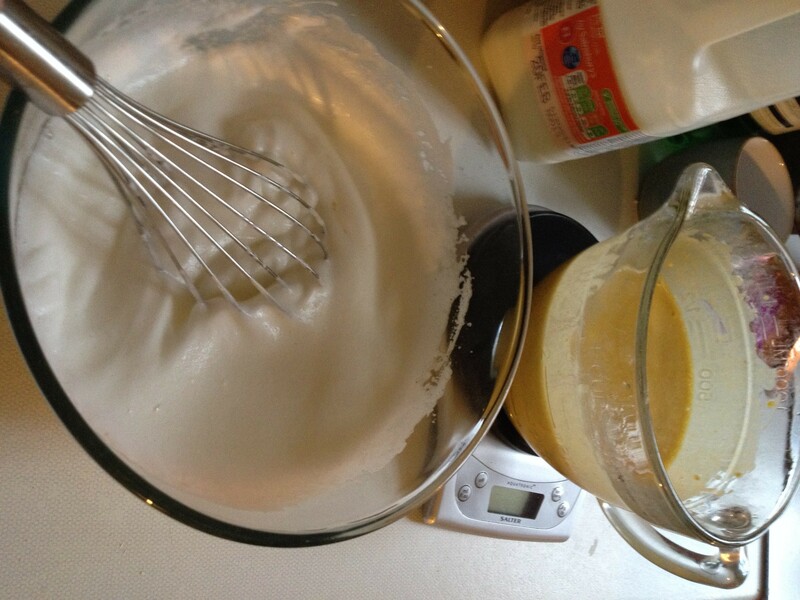 Whisk the egg whites until stiff, by hand or with an electric whisk, whichever you can bear. 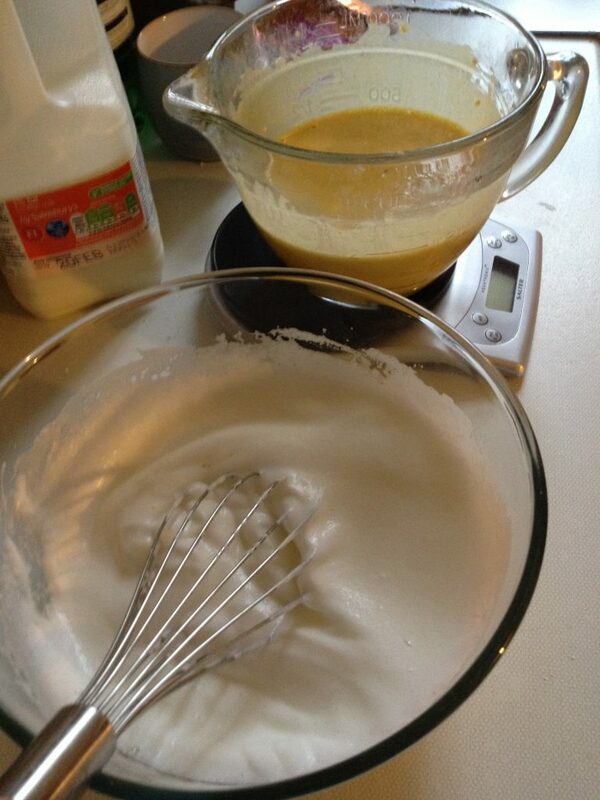 Pour the egg yolk and milk mixture into the egg whites and fold in gently. Heat some oil in a large frying pan and drop some spoonfuls of batter in when hot. They don’t spread out too much but are super hard to flip if you put too many in a pan. Cook for a few minutes on each side and be careful as you flip as they are fragile. Top with honey, maple syrup, banana, Greek yoghurt or berries, even a bit of cheese if you fancy. Delicious! 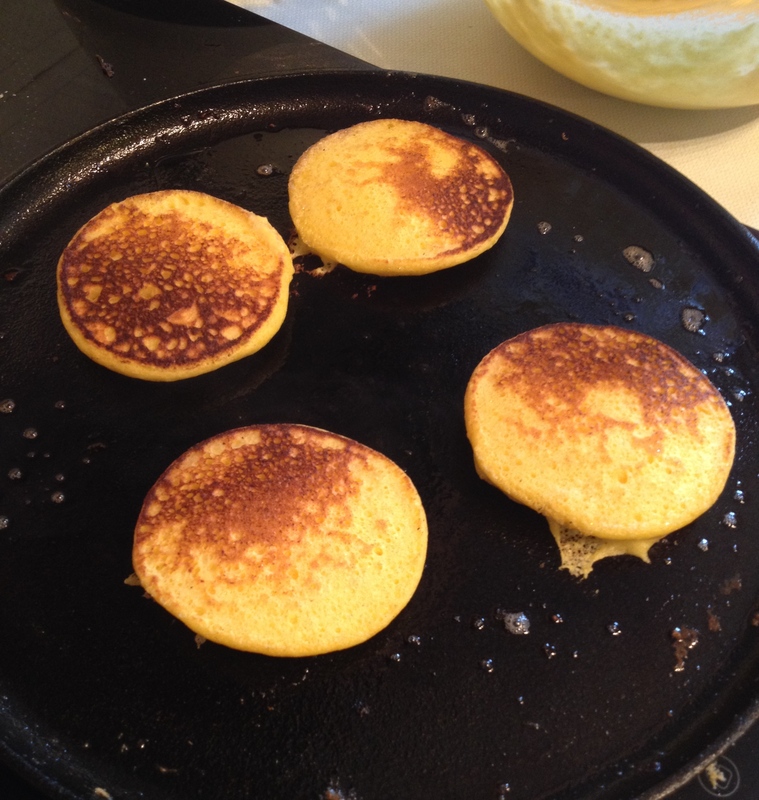 Posted in Blog, Recipes and tagged breakfast, brunch, drop scones, eggs, pancake day, pancakes, protein, ricotta.